4,4,5,5 - 4..........Chico von Forell. Twice competed in the D.V. Meisterschaft. David von der Rothenbuch competed twice in the D.V. Meisterschaft and passed the Körung 'for life' with highest rating for hardness and working drives. His sire, Brutus von Nymphenburg, and dam, Belle vom Orakel, both passed the Körung 'for life' with highest rating for hardness and working drives. David lived to 4½ years of age and his dam, Belle vom Orakel, to 9 years of age. 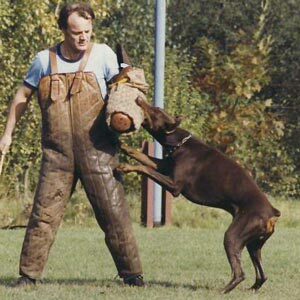 Askan: SchH 3, FH, DV-DM participant and passed the Körung 'for life' with Körklasse 2A rating.